A quick and easy parachute activity for the kiddos. 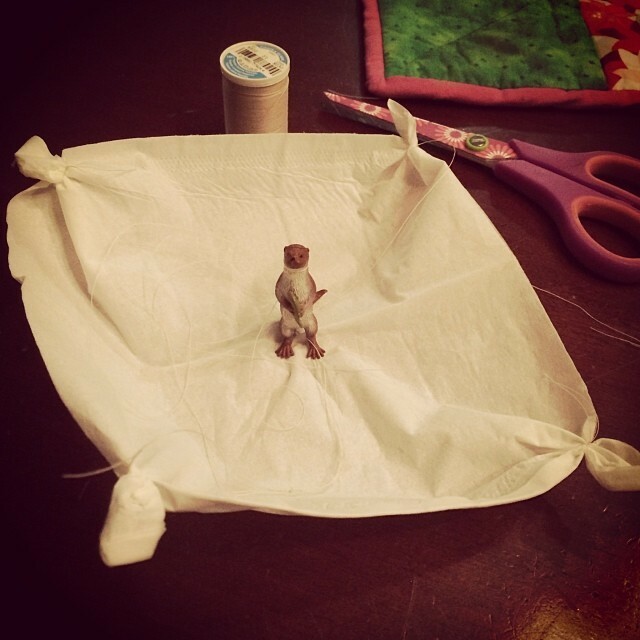 Tie the pieces of thread to the corners of the tissue then secure the otter. Then let him fly!